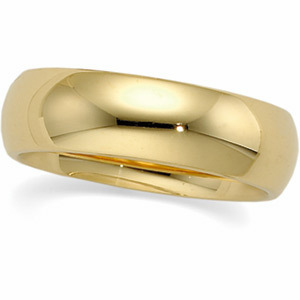 Stock #HR6:6mm wide 14k Gold Wedding Band. Standard half round band, matches #S101 Engagement ring... Very Nice, Top Quality, Rings!!! Also available in 14k White Gold. Other widths and finishes available. Can also be used for mens wedding band.